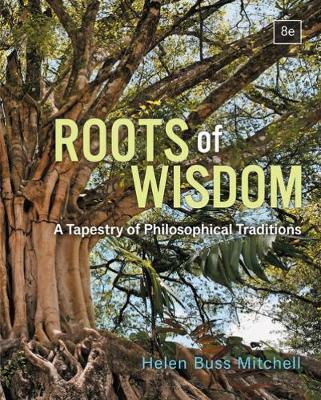 Mitchell's ROOTS OF WISDOM: A TAPESTRY OF PHILOSOPHICAL TRADITIONS, Eighth Edition, explores worldviews by examining universal and current philosophical issues through a rich tapestry of perspectives, including the ideas and traditions of men and women from the West, Asia, the Americas and Africa. Worldviews reveal core beliefs and determine who is and who is not a person, what an Ultimate Reality might be like and how to resolve the personal, political and social questions that shape ethical decision making. The text couples unrivaled breadth of multicultural coverage with a clear and concise presentation. Striking images from fine art, cartoons, poetry, movies, current events and popular music illustrate our diverse cultural inheritance. Lively discussions include the Confucian Socially Molded Self, issues of sovereignty and citizenship and the philosophical concept of personhood.